Everyone takes a lot of pictures when they are experiencing a special moment. The same is true for those who are traveling on vacation or romantic getaways. Today’s advanced cells phones make it possible to capture these occasions in detailed ways. You can use your android to take professional looking photos. If you’re wondering what to do with travel photos, you’re like most people. Simply letting these great moments sit in your phone’s memory is not the best use of them. These can be used as screensavers, photographs, and many other items. There are creative ways to utilize your photos and to even sell them if you want. 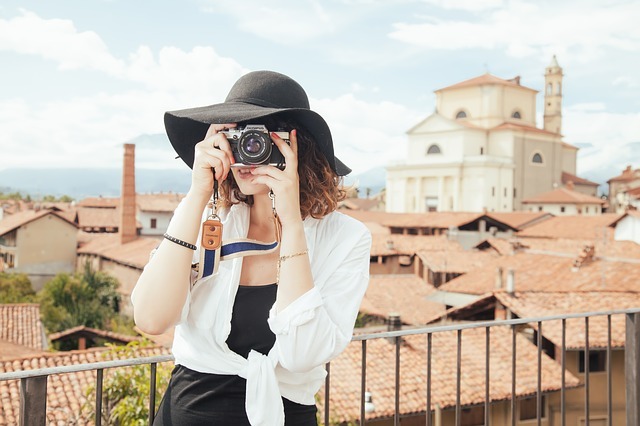 If you want to create mementos of your travels it can be done when you learn what to do with the photos from your trip. One option is to turn a travel photo to a painting to give to someone special. Perhaps it’s your significant other or the relative you stayed with during your trip. A painting is a breathtaking way to memorialize the vacation of a lifetime. While capturing a true life moment is often the goal of memento seekers, this doesn’t mean there isn’t any room for artistic license. The aforementioned paintings can be pop art inspired portraits of you and your spouse standing in front of the Eiffel Tower, based on a series of selfies you took during your trip to Paris. There is also the option for staged photos which poke fun at a particular time or place, although it’s important to avoid doing anything overly offensive to the local population. According to Forbes, many amateur photographers will use their digital photos to decorate their homes. You can do this creatively with a large-format frame. These are nice ideas to showcase on walls in living spaces and special rooms. Some may even decide to reproduce these photos and decorate offices and other areas. There are techniques that allow you to maximize the colors in photos. You will be able to tailor these to meet color schemes in bedrooms and dens. This is a great way to decorate new homes and for redesign projects. These photos can be turned into black and white prints to create spaces that are completely original. Amateurs aren’t the only ones who take travel photos. Experienced photographers who sell their creative shots are also in this category. Finding effective ways to sell these beautiful travel photos is possible for those interested in this field. There are newspapers and magazines that purchase shots of different types. Freelance photographers can earn money by selling their work. Sizing is one of the strategies used when printing beautiful travel photos. It is possible for you to play with the size of a photo. Some systems will even allow photographers to design unique shapes with these displays. Small, medium and large photos can be used for interior décor and other projects. Scrapbooks are another option when it comes to using your travel shots. It doesn’t matter whether you want to use your travel photos for business or pleasure. There are websites to help you with these goals. A simple internet search will show you how to take advantage of good shots of destinations and attractions. These can be gift ideas for friends or you could turn a photo to a painting.